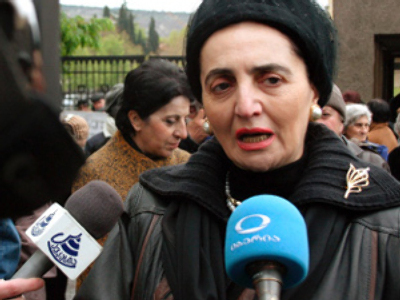 The widow of the first Georgian President Zviad Gamsakhurdia has attempted to dig her husband’s grave in protest of her son’s imprisonment. According to Rosbalt news source, Manana Archvadze promised to take her husband’s body out of his grave and bring it to the prison if her son is not released. The woman’s political comrades were around the grave, which is located in Georgia’s Mtatsminda Pantheon of Writers and Public Figures in Tbilisi. Georgian clerics have also arrived at the site trying to persuade Archvadze to leave the remains of her husband alone. 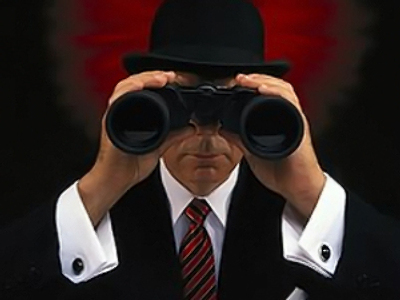 The police are also there monitoring the situation. 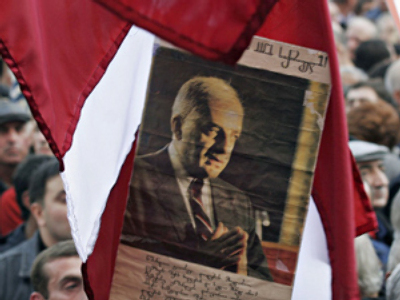 Son of the former president Tsotne Gamsakhurdia has been in custody since October 27, 2009. He is accused of attempting to murder his neighbor, espionage for Russia, and participating in an anti-government conspiracy. His lawyer Katie Bekauri told GZT.ru’s source that her client’s health has been seriously sapped in the course of his numerous hunger strikes.